This story was originally published on Jun 20, 2014. It was updated April 24, 2017. San Francisco may be known for its sourdough, but let the tourists have the artfully contrived bread made into the shapes of animals. The Bay Area is home to some of the finest bakers and pastry chefs out there. So, instead of buying a well-preserved loaf from the store, get some fresh bread -- either flavored or just plain and hot out of the oven -- to go with your next meal. Here are some of the best breads in the Bay Area. As always, this list is incomplete. Add your own favorites in the comments. Mon, 8 a.m. - 7 p.m.; Tues, Wed, 7:30 a.m. - 7 p.m.; Thurs, Fri, 7:30 a.m. - 8 p.m.; Sat, 8 a.m. - 8 p.m.; Sun, 8 a.m. - 8 p.m.
Why? Chad Robertson may be the most famous baker in the city and Tartine is his masterpiece. 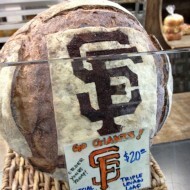 There's a reason the bakery is a San Francisco classic. Fresh bread is available daily after 4:30 p.m. You can order ahead -- and you probably want to -- with three days advance notice. 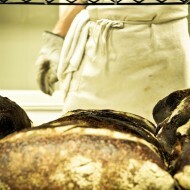 Or visit the more recently opened Tartine Manufactory in the Mission. Mon-Sat, 8 a.m. - 6 p.m.; Sun, 8:30 a.m. - 3 p.m.
Mon-Fri, 6:20 a.m. - 7:30 p.m.; Sat, Sun, 8 a.m. - 7 p.m.
Why? 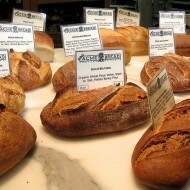 Yes, Acme bread is readily available in stores around the Bay Area and at a few farmers markets. But, the specialty and fresh loaves are what make it one of the premier bread destinations. Try the sourdough or the walnut levain. Why? Formerly a strictly wholesale business, Firebrand opened its own retail location and eatery in 2016. 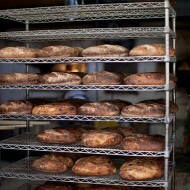 The breads are made in small batches and with limited distributions through Bay Area restaurants and certain retailers. Once you get your hands on a loaf, you'll swear that all the time that goes into the hand-made, wood-fire-cooked loaves is worth it. Try the German rye, the whole wheat, or the sourdough. Mon-Fri, 6:30 a.m. - 6:30 p.m.; Sat, Sun, 7 a.m. - 3 p.m.
Why? A small local bakery, Destination fills its storefront with pastries and baguettes that are snatched up by the local neighborhood. On Fridays, though, Joe Schuver pulls fresh challah out of the oven in the late morning. There aren't many loaves, so don't miss out. Mon-Sat, 7 a.m. - 4 p.m.; Sun, 8 a.m. - 4 p.m.
Why? So powerful is the lure of Tartine that when one of Robertson's disciples breaks out on his own that bread too becomes a local favorite. M.H.B.B. also serves breakfast, lunch, and brunch, but people come for the bread. (Also available at some restaurants and stores.) Not sure which to get? Try the bread sampler plate. Everyday, 7 a.m. - 3 p.m.
Why? Della Fattoria uses all organic flours, local sea salts and olive oils, a natural starter, and a brick oven that burns for 12 hours before the loaves cook. It makes for a rich, smoky flavor. If you don't want to head up to Petaluma, then check out the weekend Ferry Building Farmers Market. 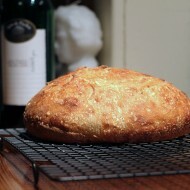 Try the Meyer Lemon/Rosemary bread. Mon-Fri, 7 a.m. - 8 p.m.; Sat, 8 a.m. - 8 p.m.; Sun, 8 a.m. - 7 p.m.
Mon-Fri, 7 a.m. - 8 p.m.; Sat, Sun, 8 a.m. - 8 p.m.
Why? 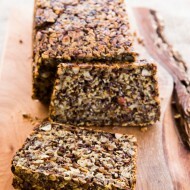 Feel Good Bakery uses old-world methods, including a long fermentation period. 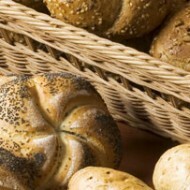 Its signature breads contain a yeast combination of fermented rye, wheat, and wholewheat flour. But, you don't care about that. You just care that it tastes really good. Try their Wholly Moley, crankin (cranberry and pumpkin seeds), and currant walnut. Why? This small bakery specializes in traditional Italian breads. Although the whole operation is wholesale, it's worth tracking down a loaf at one of these locations. 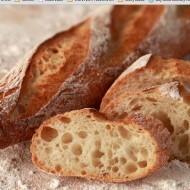 Taste the Pane de Altamura, if you can. Tue-Fri, 7 a.m. - 6 p.m.; Sat, 7 a.m. - 7 p.m.; Sun, 8 a.m. - 6 p.m.
Why? 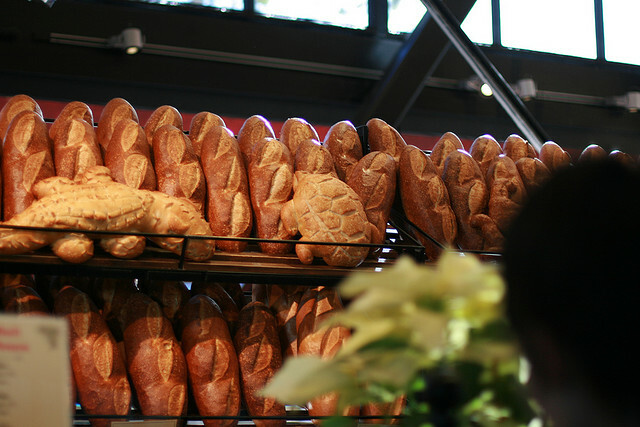 Started by the founders of the San Francisco Baking Institute, the bakery aims to bring authentic French-style pastries and breads to San Francisco. 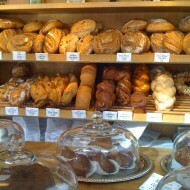 Along with morning pastries, Thorough has fresh bread after 9 a.m. Extra bonus: it's relatively cheap. Everyday, 7 a.m. - 6 p.m.
Why? With three locations now in the East Bay, La Farine is nearly a chain. 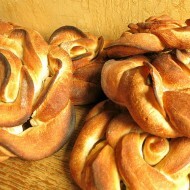 It became that by being one of the most popular bakeries and patisseries around. 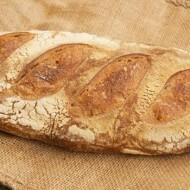 Along with tarts, pastries, and cakes, La Farine best known for its delicious baguettes and brioche. Mon-Sat, 4 a.m. - 8 p.m.
Why? It may be called Phoenix Pasta, but Phoenix is more than a pasta place. 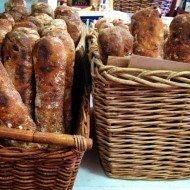 Try their famous olive bread from the Saturday Berkeley Farmers Market. Watch out, though, there may still be an olive pit in there. Everyday, 8 a.m. - 4 p.m.
Why? In a typical week, Semifreddi's makes 190,000 loaves of bread and 40,000 pastries and cookies. Of course it's available at a number of local stores. But, if you go to the one retail shop still open, order a fresh ciabatta roll. Why? 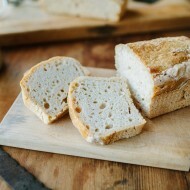 Gluten-free bread can be hard to do well, especially classic San Francisco sourdough. Bread Srsly was the first gluten-free sourdough bakery in the city. Now, it delivers its bread around the region. Mon, Wed-Sun, 7 a.m. - 9 p.m.; Tues, 7 a.m. - 7 p.m.
Why? Josey Baker makes manly bread. But, it can (and should) be eaten by everyone. Originally a sole baker out of his home, Josey bakes out of the Mill now, a joint venture with Four Barrel Coffee, and supplies a number of Bay Area restaurants and shops. 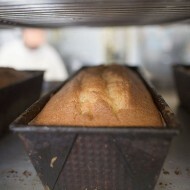 The Mill, though, has delicious fresh loaves every day. And, his fennel-raisin and apricot-sage toast has become famous as the $4 toast. Try it.